GJ6 is our best GPS jammer. 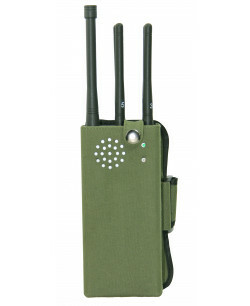 It is a handheld device that is specialized at working against all kinds of civil GPS frequencies (L1 L2 L3 L4 L5), LoJack and GLONASS tracking devices (which very popular in Russia). 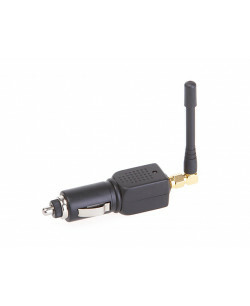 You can use this product at home, while walking somewhere or even in your car wh..
GP5000 is our special car GPS jammer. We designed this small yet very handy device in order to help millions of truck drivers around the world who suffer from GPS tracking placed in their 18-wheelers by their employers and who think that their privacy rights are violated in this way. Of cour..
TITAN jammer is one of the most powerful portable jamming solution currently available on the market with jamming range between 10-30 meters. It feels like a portable in your hands, however it definitely behave like a high power desktop unit. 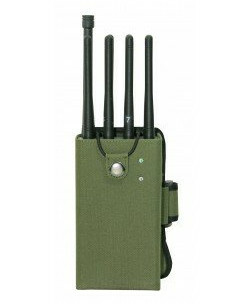 Dimensions are just 23*9*5cm which makes this jammer to l..
Albatross is a pocket GSM jammer that may be used against GSM, CDMA and other mobile phone networks along with 3G signals or GPS. While it has not high output power and only 5 meters of working radius, it is smaller than your smartphone and thus can be hidden anywhere starting from different bags an.. 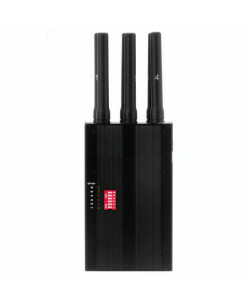 Extremely powerful handheld jammer. 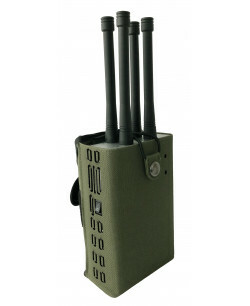 Fully configurable and can jam the following frequencies:- Drones frequencies within 60-300 meters jamming range;- GPS frequencies within 100-500 meters jamming range;- Remote controls within 100-500 meters jamming range;- Cell phone frequencies within 20-50 meter..
MONSTRO 10 best handheld mobile jammer works with all frequency bands used by the wireless devices around you except low frequencies and 4G band. When you have such device in your hands, there is almost nothing that can hurt your privacy or break the secrecy of your location within 15 meters..
GPS is the frequency range that is used by navigational satellites to track the location of land, water and air vehicles which have GPS tracking device installed onboard. GPS frequency range has five bands but only three of them are intended for civil usage – L1, L2 and L5. While GPS is the most widespread tracking frequency spectrum (developed and commonly used in the USA), there are also many other satellite navigation systems: Russian GLONASS, European Galileo, Chinese Compass and Japanese QZSS. Depending on what part of the world you are, any of them might be used or even few of them simultaneously. In this category you will find a couple of GPS jammers (anti tracking devices) which will help you to protect your privacy in your vehicle or in any other place. All our GPS signal blockers was developed in Sweden so the quality of these tracking jammers is very high. As you may already know, location tracking these days might be not only helpful but also it can violate your privacy rights because many law enforcement agencies in different countries practice warrantless tracking. They place tracking devices under your vehicle and monitor your location at will because privacy laws are incomplete in those countries. To help you manage this situation there are GPS jammers to be used. Those devices can prevent satellite tracking systems of any country from finding out where you are. The only exception is Iridium satellite network but we have a special device for it. Aside from GPS trackers there is another thing that is even closer to you then your car. It is your smartphone. As a rule all modern smartphones have embedded GPS module. This module can grant law enforcement agencies access to your geolocation data, and while it also can be granted without a warrant, governmental employees can track your movements in the same way they track vehicles with GPS tracking devices. But you can use our products from this category to protect your privacy and keep information about your location and movement through the day safe from strangers. Yet there is one thing you should know. Modern electronics industry is developing quite rapidly and many devices are upgraded so they use new technologies in their work. The most advanced models of both GPS tracking devices and smartphone navigation systems have so called A-GPS technology inside, and only mixed GSM/GPS Jammers can deal with such tracking.